Shop This Month's CyberWeld Specials! The Optrel® e684 dark blue auto-darkening welding hood features 1 1 1 1 lens rating with fully automatic shade 5 to 13 arc brightness detection. Autopilot automatically adjusts the shade level based on the brightness of the arc or flame. The auto-dark lens can also be operated in fully manual mode with infinite shade adjustment between shades 5 and 13 for a custom view of the arc. The e684 welding helmet also has True Color technology, which allows for realistic color perception in light or dark states. It scores a perfect 1 rating for optical class, scattered light, homogeneity and angular dependence. The e684 has external controls to switch quickly and easily from weld to grind mode and back again. Delay and sensitivity can also be controlled using the external knobs. AUTOPILOT - Detection of the arc brightness and fully automated shade level adjustment from 5 to 13. Adjusts automatically to the changing light conditions of the current welding method. Twilight Feature - gradually lightens lens when switching from dark (welding) to light state to ease eye fatigue. TRUE COLOR - A specially developed UV/IR filter allows the realistic color perception typical of Optrel®, bringing color to the welder�s world. 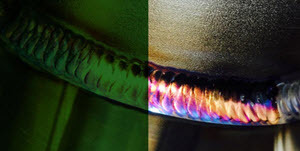 TRUE COLOR passes more colors of the spectrum through compared to standard "green" spectrum welding lenses. Patented Sensor Slide allows the detection angle to be reduced from 120� to 60� to prevent the ADF from responding to welding nearby. Overhead Welding - Unique Optrel® shell design prevents weld spatter slag. Sensitivity Adjustment - allows operator to change lens switching sensitivity for varying ambient light conditions or outdoor welding in sunlight. Grind Mode - Switch quickly and easily between weld mode and shade 4 grind mode using external controls. There is no need to remove the welding helmet to grind. External Lens Controls include infinite shade 8 to 12 adjustment, delay and infinite sensitivity adjustment and allow for quick switching between weld and grind modes without removing the welding hood. Patented Excenter perfectly centers the welding helmet when in open position for better comfort, balance and less neck fatigue. Comfort Headband quickly and easily adjusts for size, forward position and top position. Hard Hat Adaptable using Optrel's hard hat adapter. 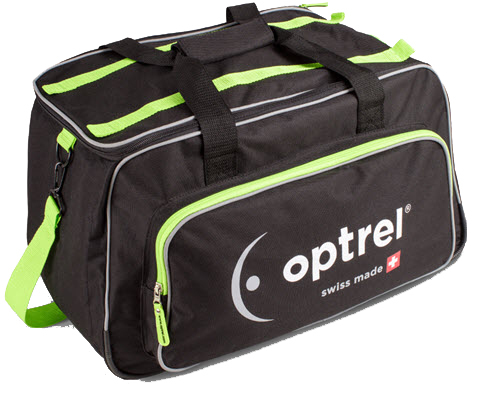 Genuine Optrel® welding helmet duffel bag stores and protects your Optrel® welding helmet, accessories or Optrel® PAPR (Powered Air Purifying Respirator). Duffel bag is made from sturdy black nylon with green trim. Generous inner compartment has snap out partition to help keep your welding helmet separated from other welding gear. A large single outer pocket has zipper closure and is excellent for storing tools. Duffel bag has two nylon carry handles and one nylon shoulder strap. All Optrel welding helmet models. This item ships Free via standard ground shipping within contiguous U.S.
Genuine Optrel® welding helmet backpack stores and protects your Optrel® welding helmet and accessories. Pkg. of 5 - Genuine Optrel® clear front cover lens for your Optrel® Crystal 2.0, Vegaview 2.5, e684, e680, e670, e650, e640 or Satellite welding helmet ONLY. Pkg. of 5 - Genuine Optrel® clear inside cover lens for your Optrel® Vegaview 2.5, Liteflip, e684, e680, e670, e650, p550 or Ready welding helmet ONLY. Genuine Optrel® welding helmet headgear 5003.250 has a comfortable ratchet head size adjustment, as well as adjustments for forward/back and top-of-head positions. Pkg. of 1 - Genuine Optrel® +1.00 magnifying lens for your Optrel® Expert Series or p550 Series welding helmet. Pkg. of 1 - Genuine Optrel® +1.50 magnifying lens for your Optrel® Expert Series or p550 Series welding helmet. Pkg. 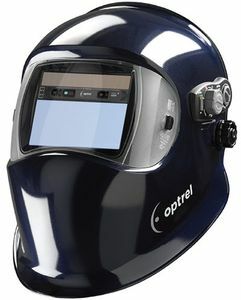 of 1 - Genuine Optrel® +2.00 magnifying lens for your Optrel® Expert Series or p550 Series welding helmet. Pkg. of 1 - Genuine Optrel® +2.50 magnifying lens for your Optrel® Expert Series or p550 Series welding helmet. The Cyberweld® name, logo and the slogan "Weld with your mouse" are registered service marks of Cyberweld® 1250 Route 28, Suite 306, Branchburg, NJ 08876© 2000 - 2019. All rights reserved.